Closest hotel to Dollywood! We can help you plan your tour itinerary, reunion, retreat, or conference and provide a home away from home. All Season Suites offers a free deluxe continental breakfast, featuring a cooked to order omelette station. All rooms have a living room, kitchen, and separate bedroom. We can provide full banquet and catering services too! Relax in your spacious suite and let us take care of the arrangements! 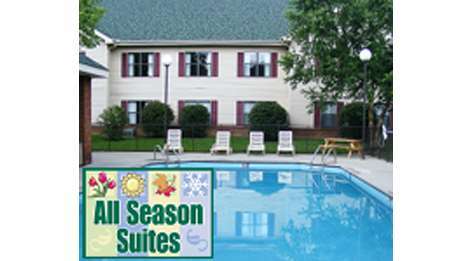 All Season Suites features one- and two-bedroom suites, each with a kitchenette and comfortable living room.Great for families or couples. Combined with many local attractions and restaurants, All Season Suites’ “Build Your Own” packages offer value and flexibility. All Taxes Included – Pricing varies.